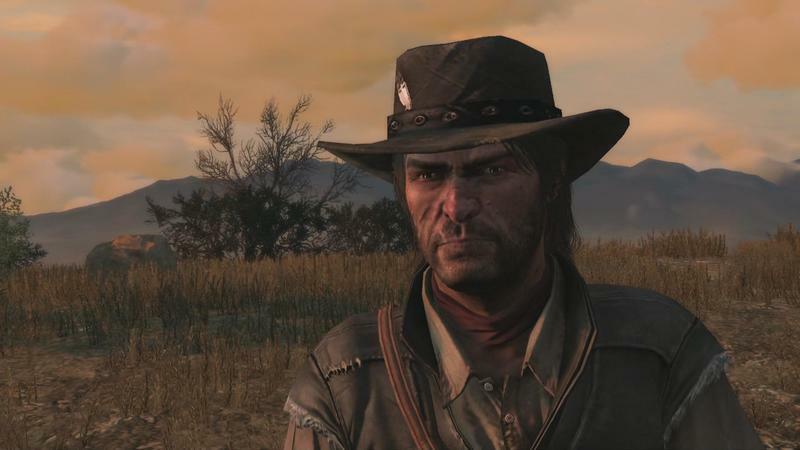 Most games, especially those from the PlayStation era on, age pretty badly. 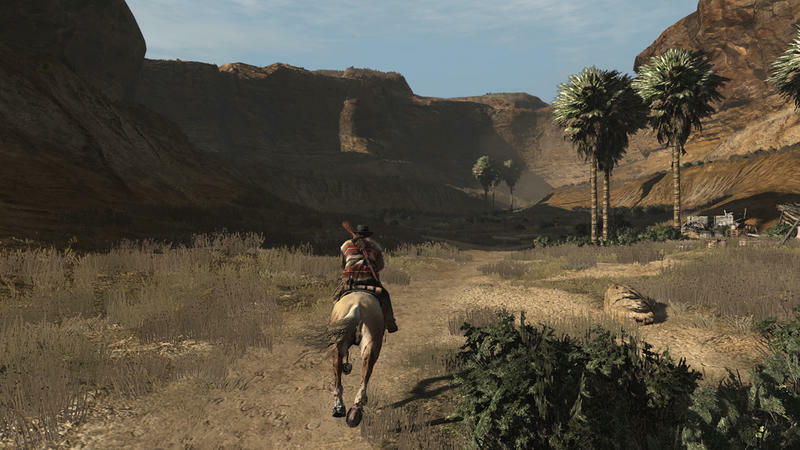 You go back a few years later, and the game you thought was gorgeous is hard on the eyes, and the mechanics you thought were perfect are slippery and sluggish. 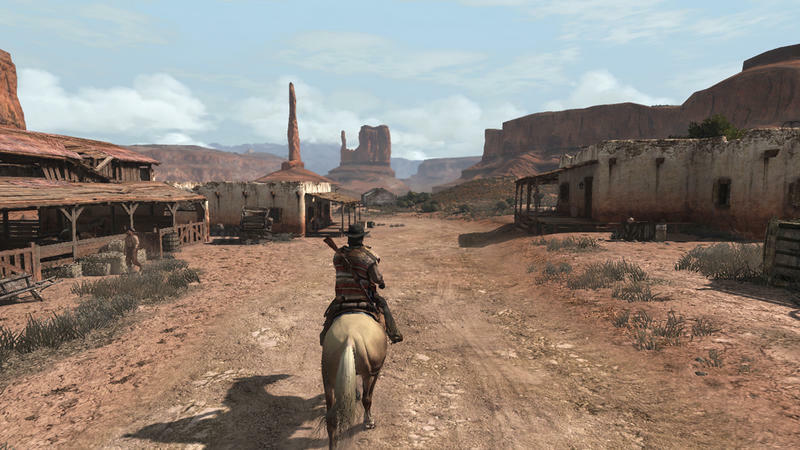 And then there’s Red Dead Redemption. 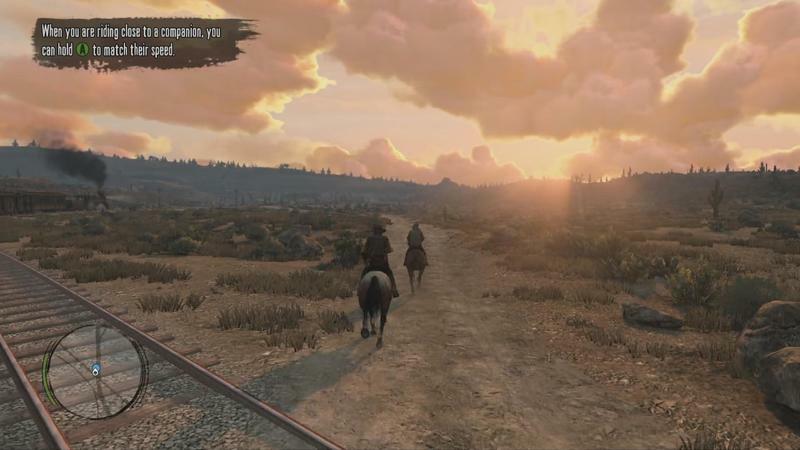 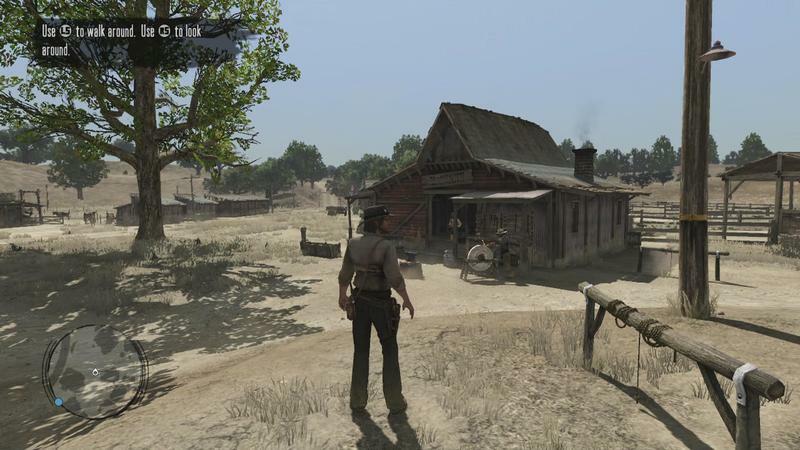 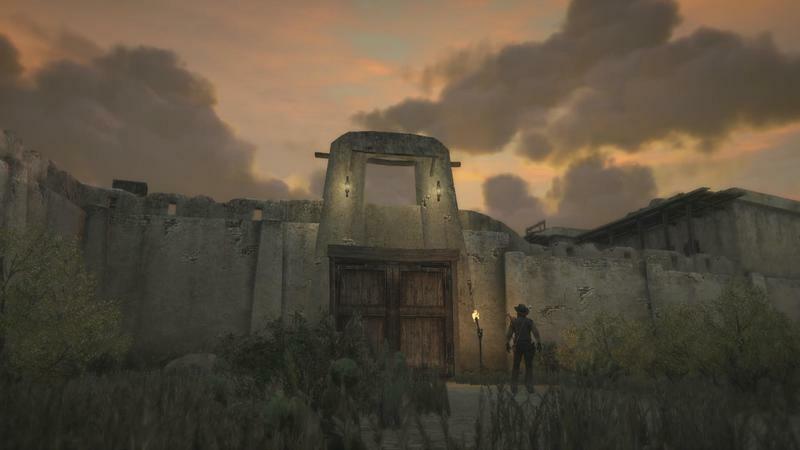 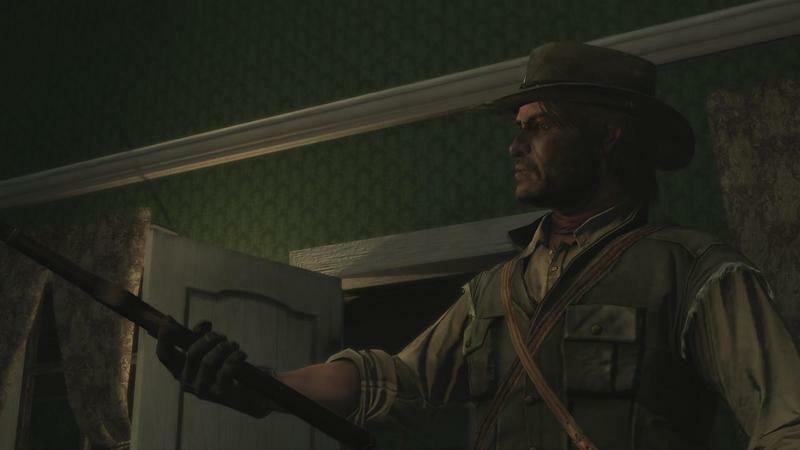 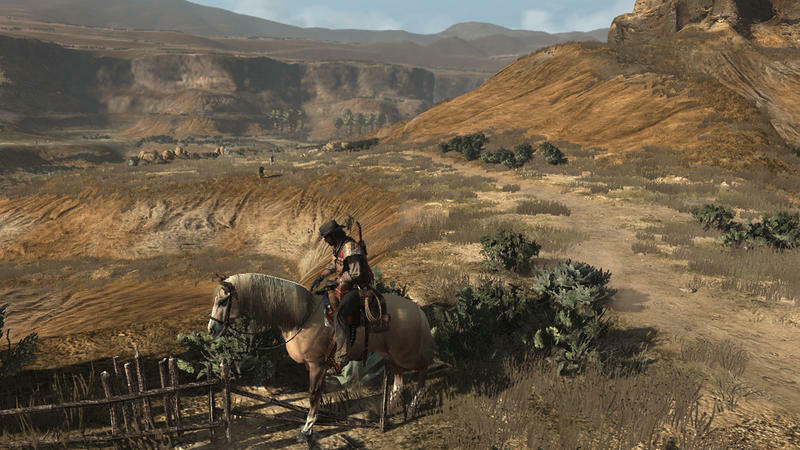 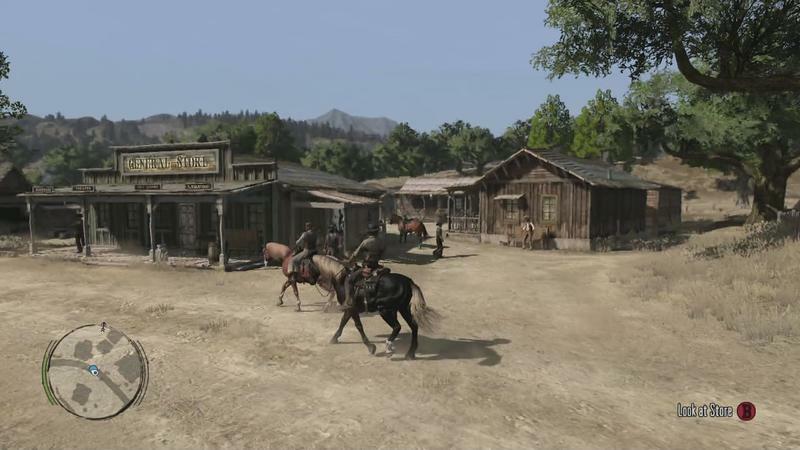 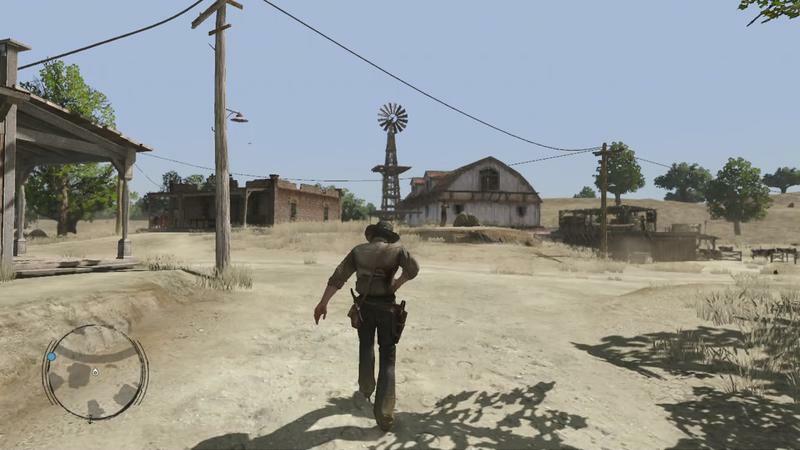 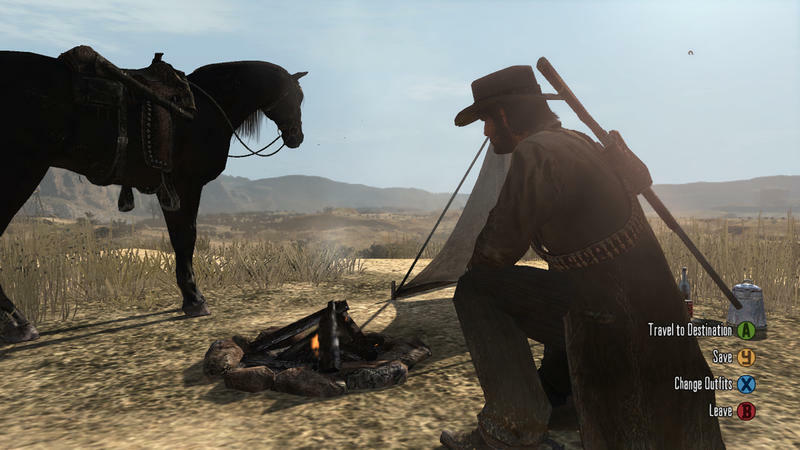 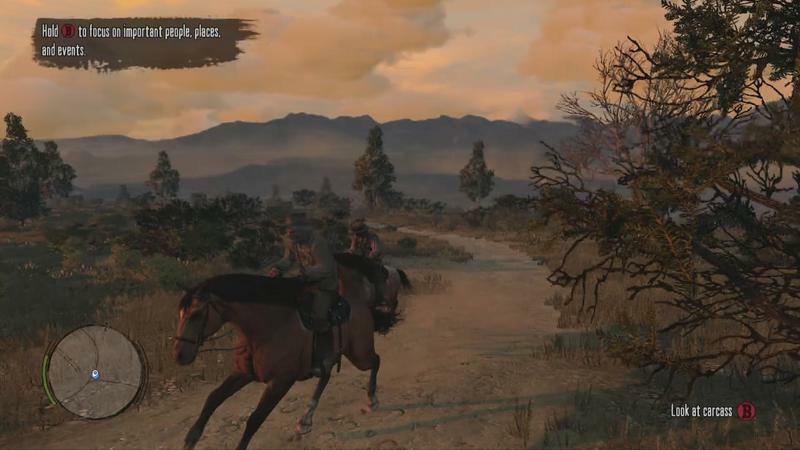 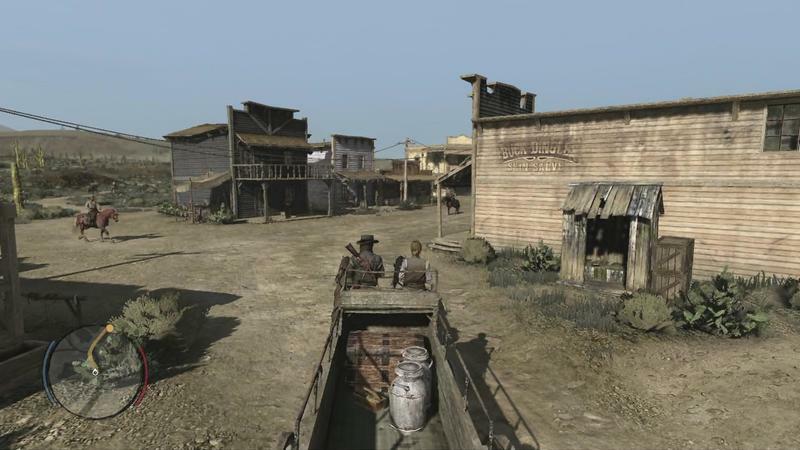 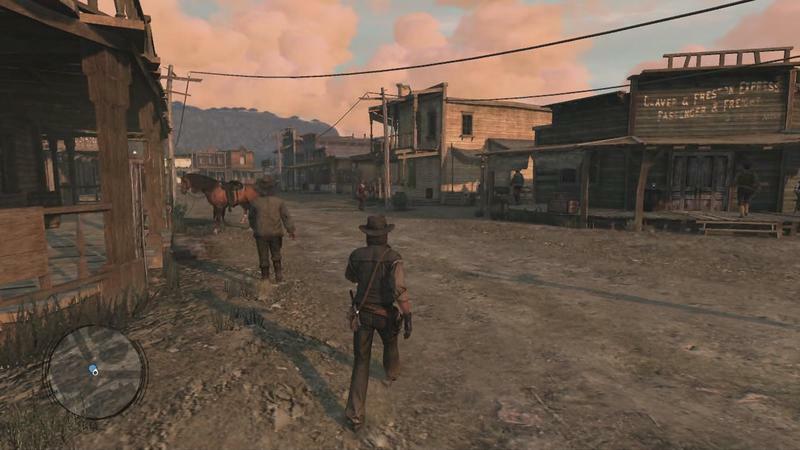 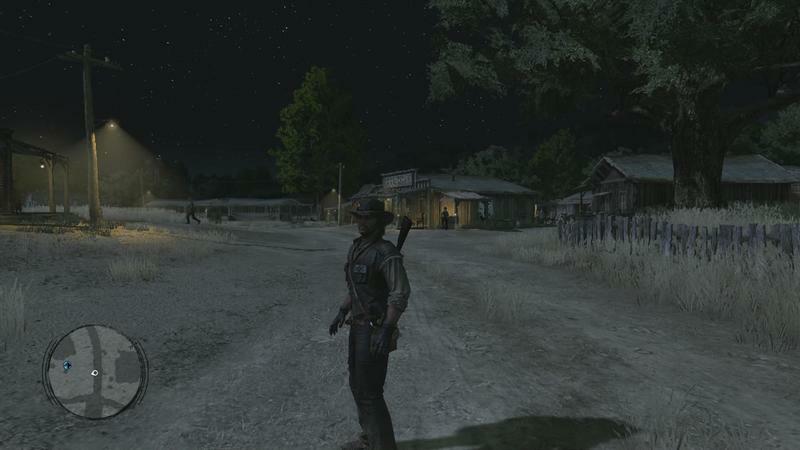 Rockstar’s western, released in the heart of the Xbox 360 and PlayStation 3 generation, is back. 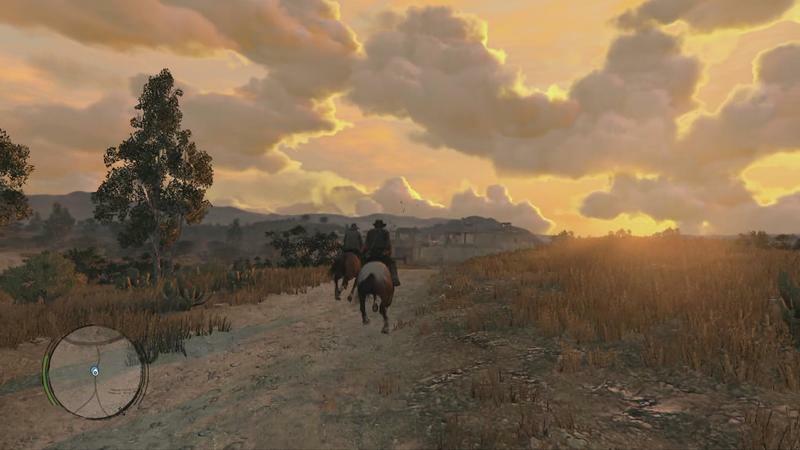 It hit shelves originally six years ago – a lifetime in video game terms, but it doesn’t look like it’s aged a day. 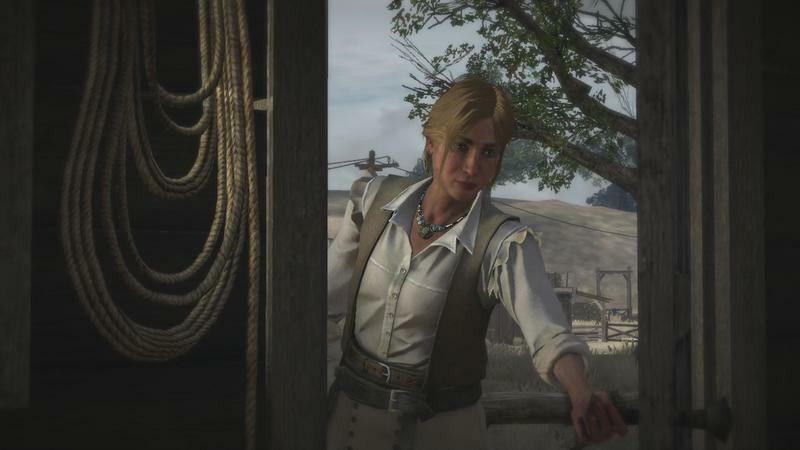 I’ll admit that the close-ups aren’t so great. 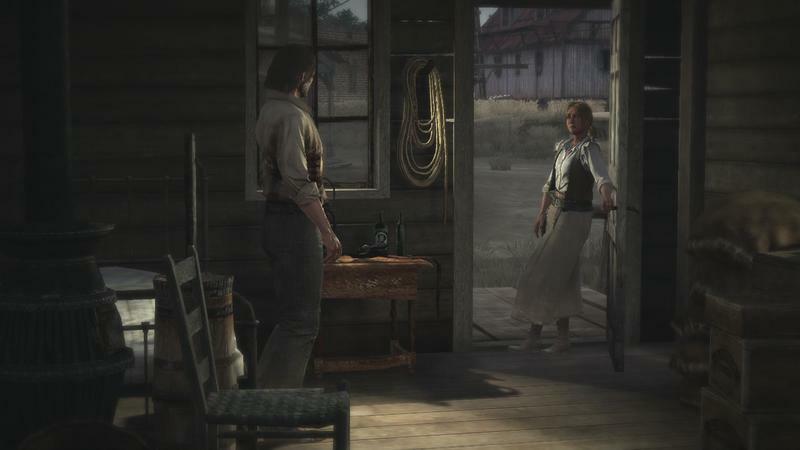 The character models have dated a bit. 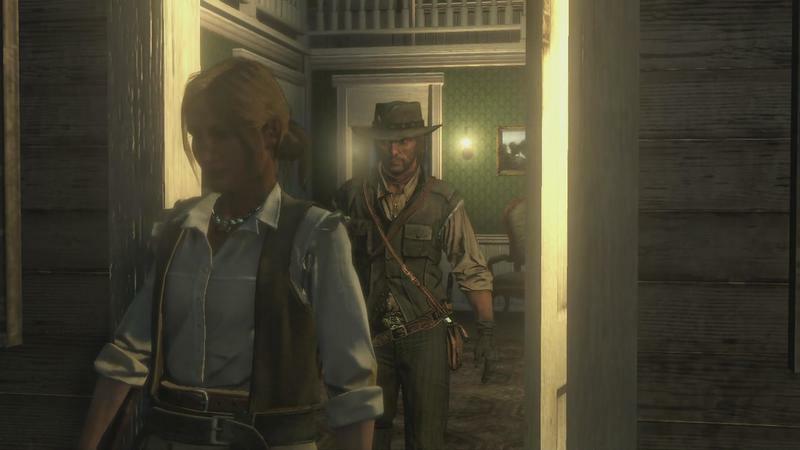 Even then, they look remarkably good. 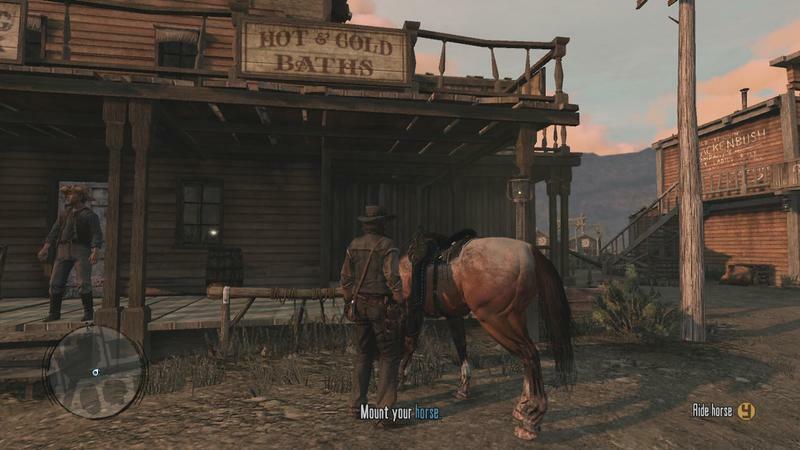 But everything else? 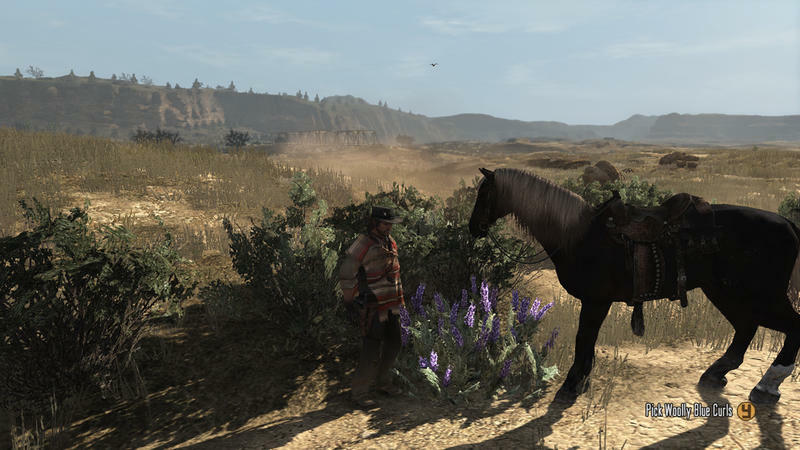 Careful art direction from Rockstar San Diego rode a careful, razor-thin line between realism and fantasy with Red Dead Redemption‘s art, never straying far enough from realism for it to be called stylized, but smoothing out the edges just enough to make something that still holds up. 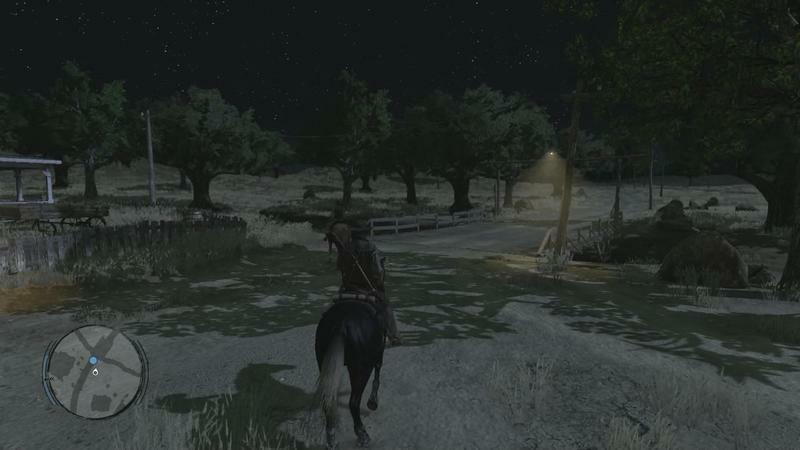 The first thing I did when the game went live this morning was hop into one of my old saves. 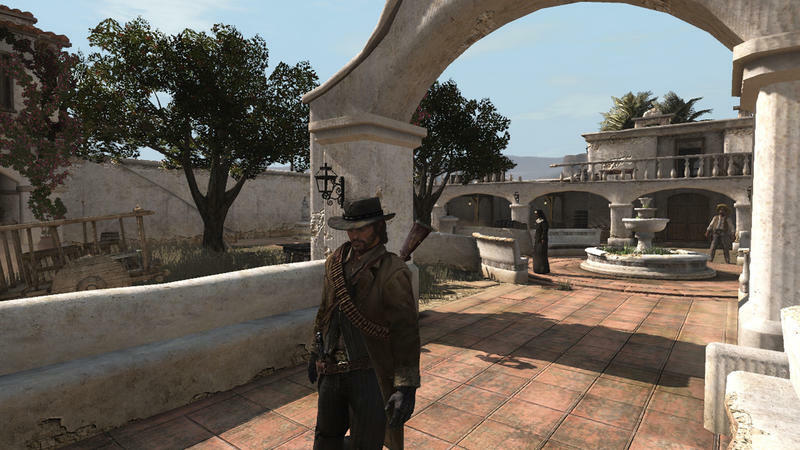 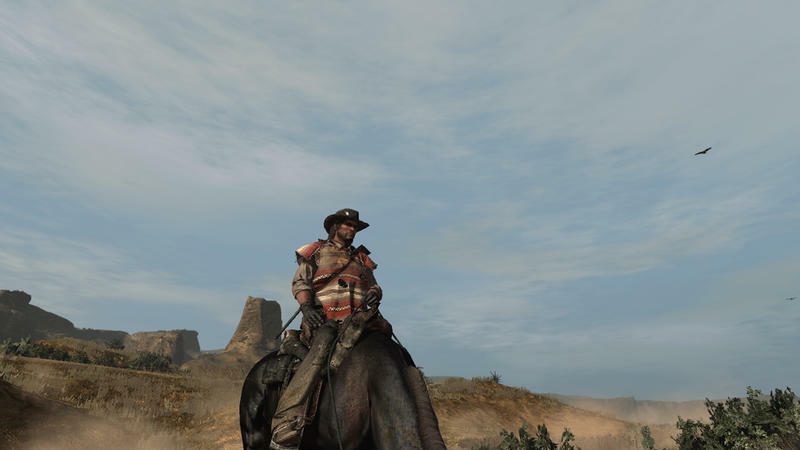 John Marston had to lay low in Neuvo Paraiso for a while and ended up getting wrapped up in a civil war there. 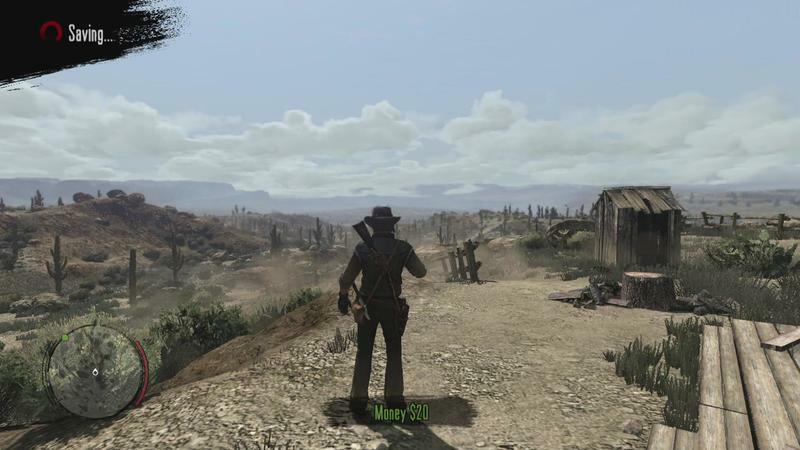 I put that on hold, though. 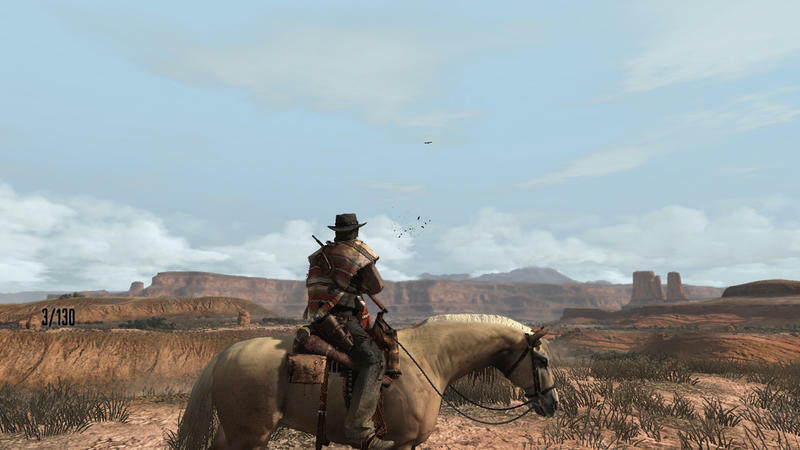 It’d waited two years since my last play-through, it could wait a bit longer. 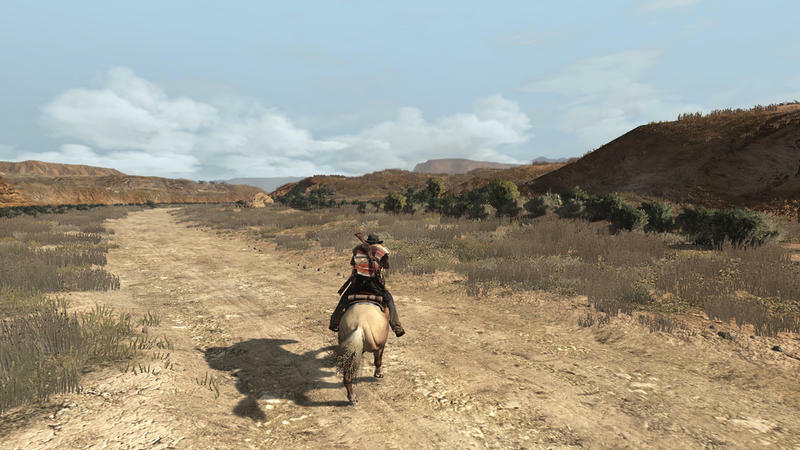 Instead, I rode for the red cliff faces south of where I’d saved. 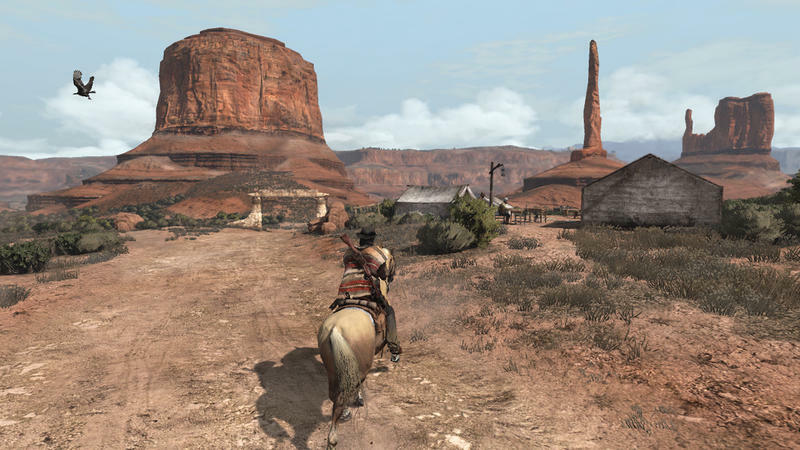 I’d hoped to head up north to my other favorite spot, Tall Trees, but had forgotten that I was still stuck down south without a way back. 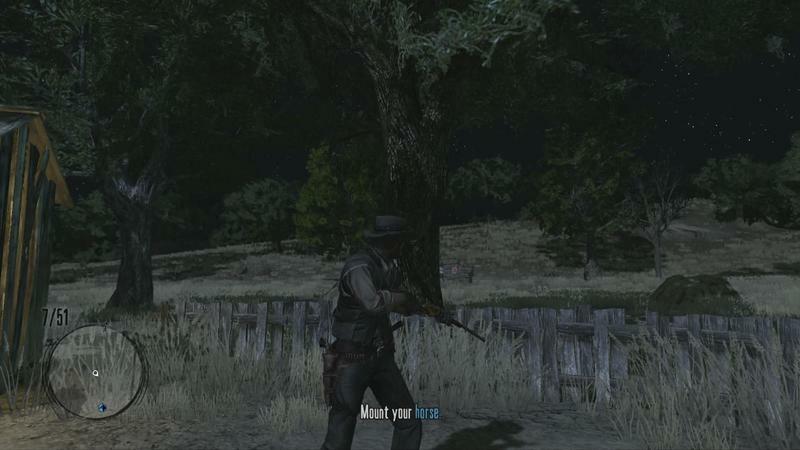 Oops – should’ve kept more saves. 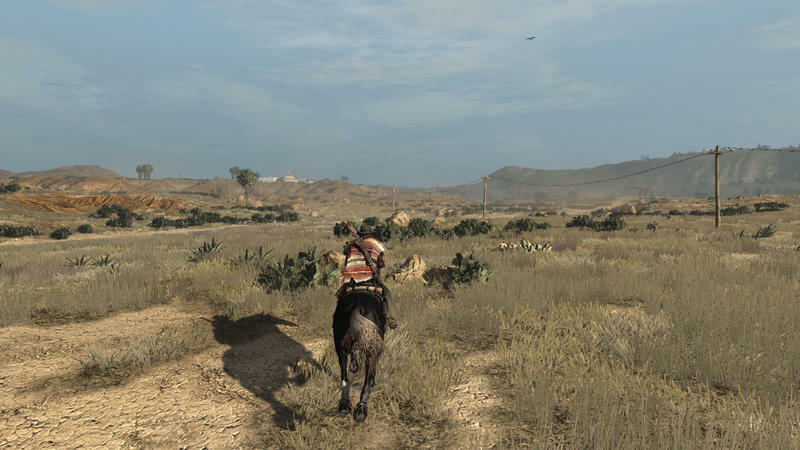 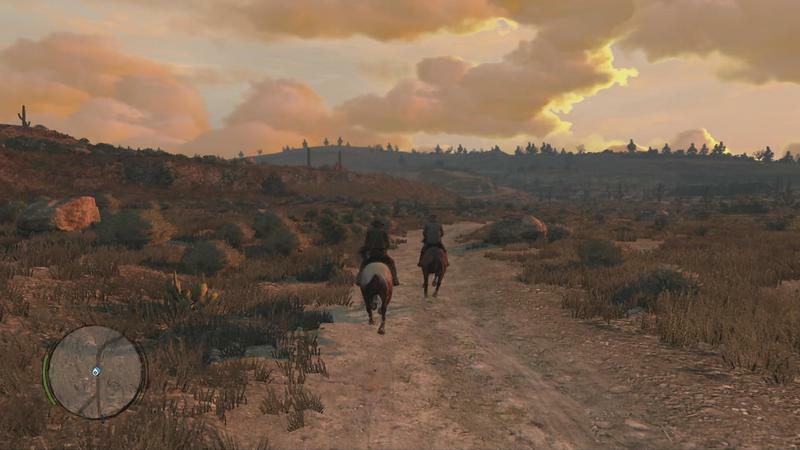 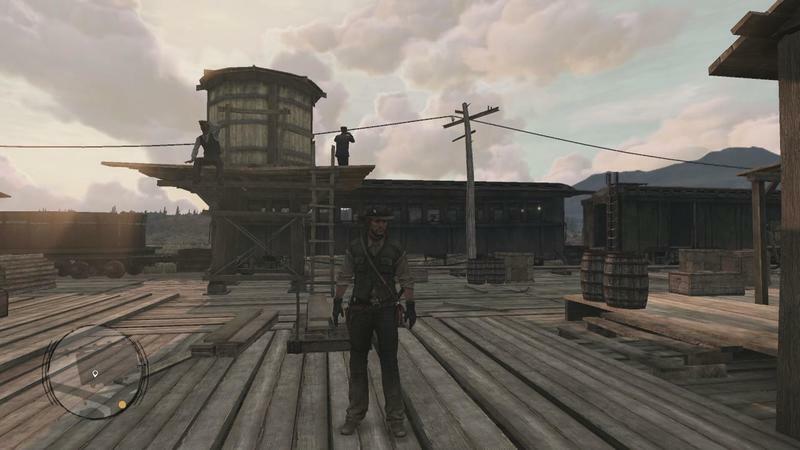 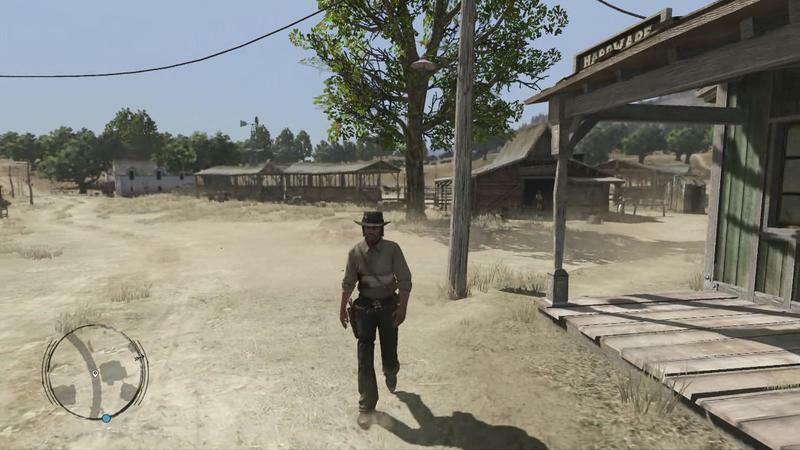 Everywhere you ride in Red Dead Redemption, it feels like a shot out of movies like Unforgiven or The Good, the Bad and the Ugly. 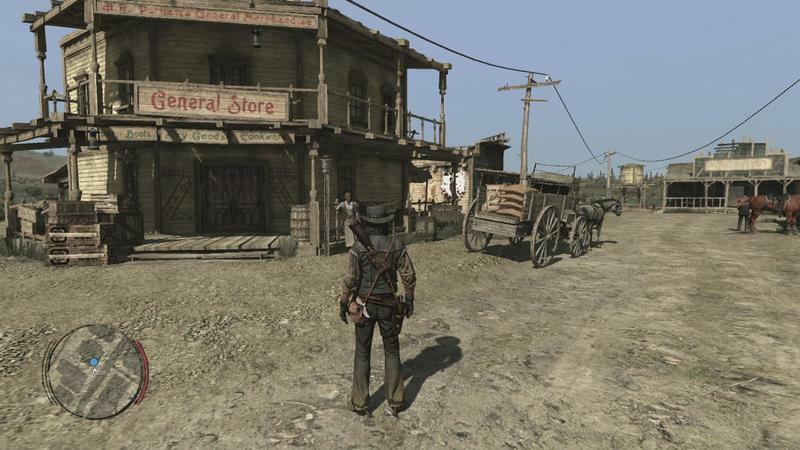 And yet, it feels like a real place. 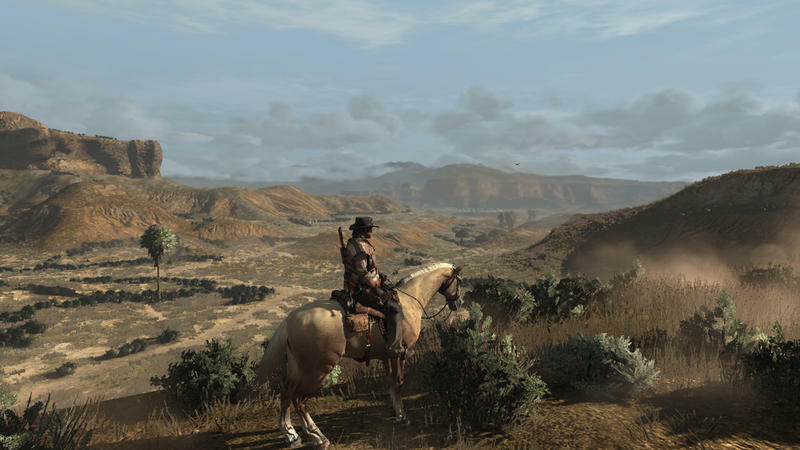 Once you’ve lived in this place long enough, if someone tells you you can find that boar skin you’ve been missing up in Tall Trees, you don’t pull out your map; you just ride. 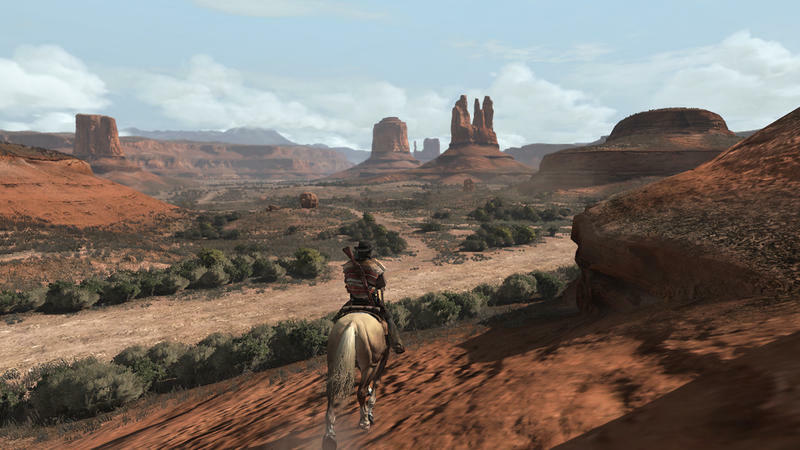 And you never fast travel. 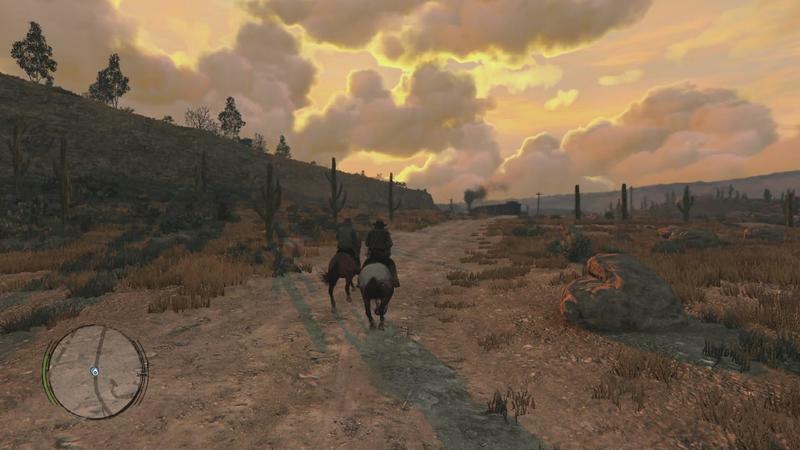 If you did, you might miss the sun rising between the plateaus and mesas down south, or through between the birches and firs up north. 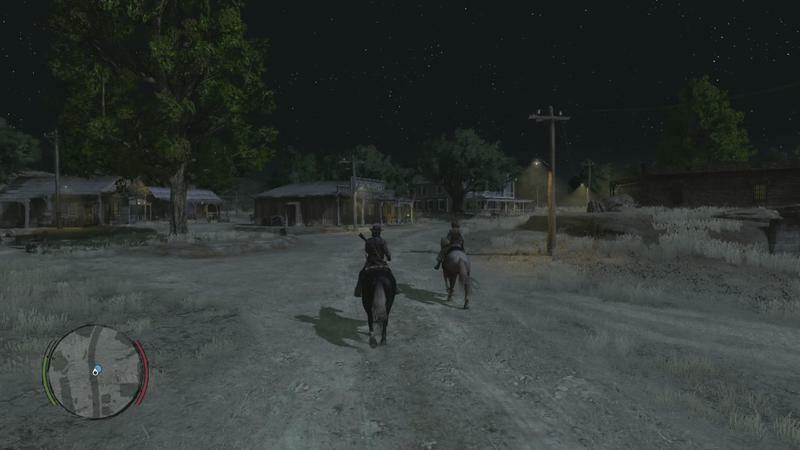 You won’t experience riding through a wide-open desert in the middle of the night, with the moon lighting everything up so that you can see deer moving on the horizon. 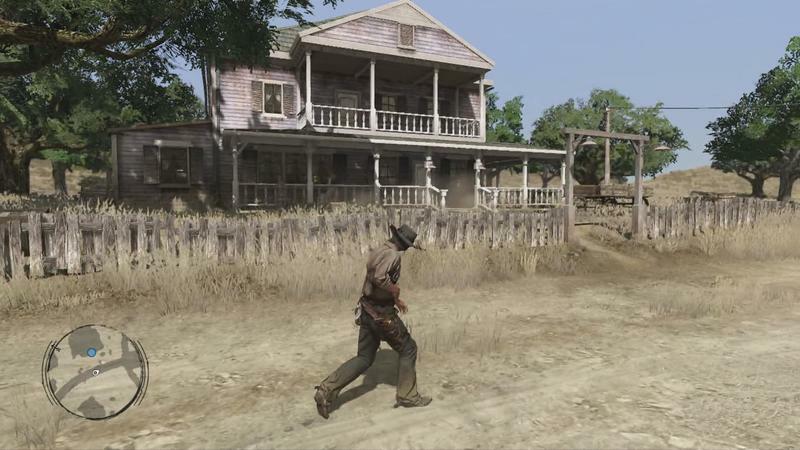 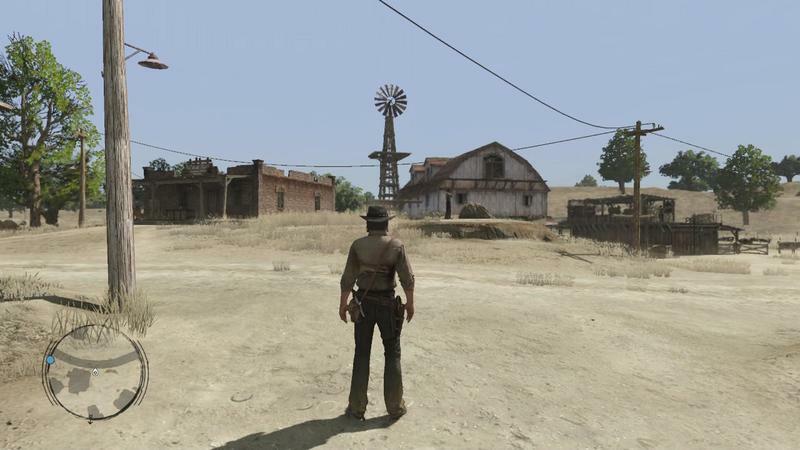 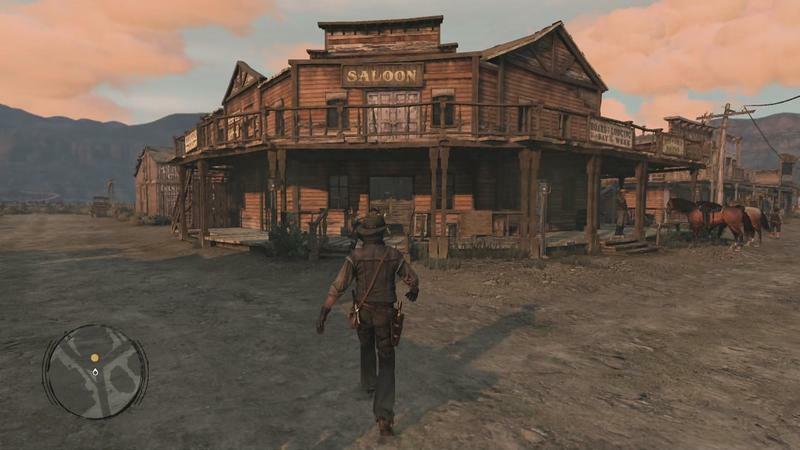 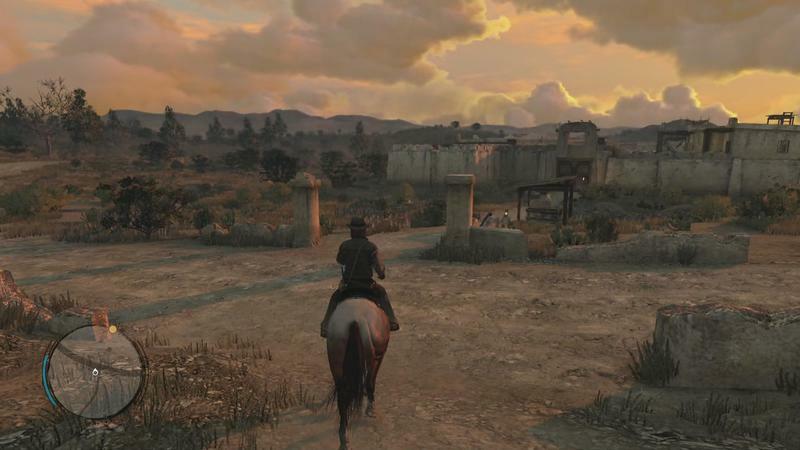 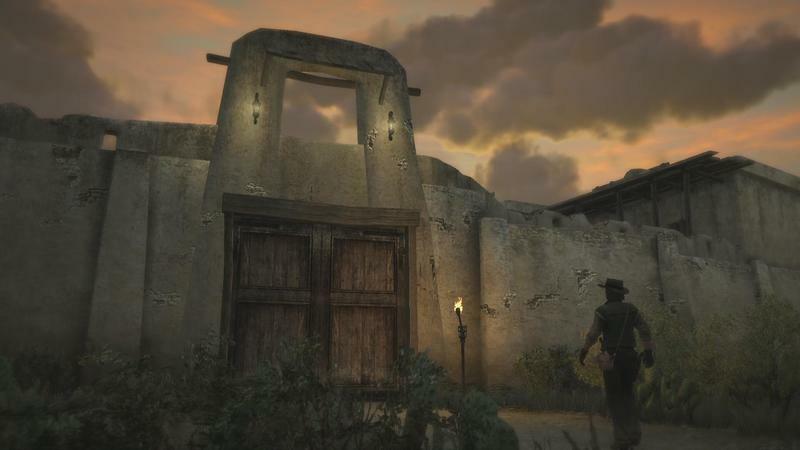 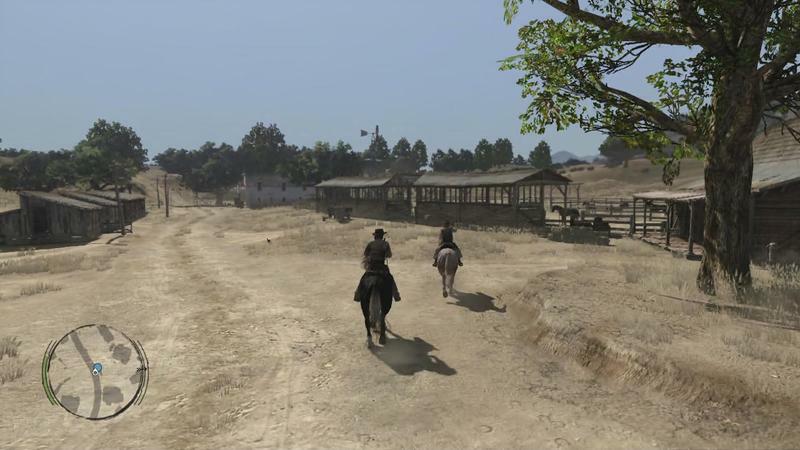 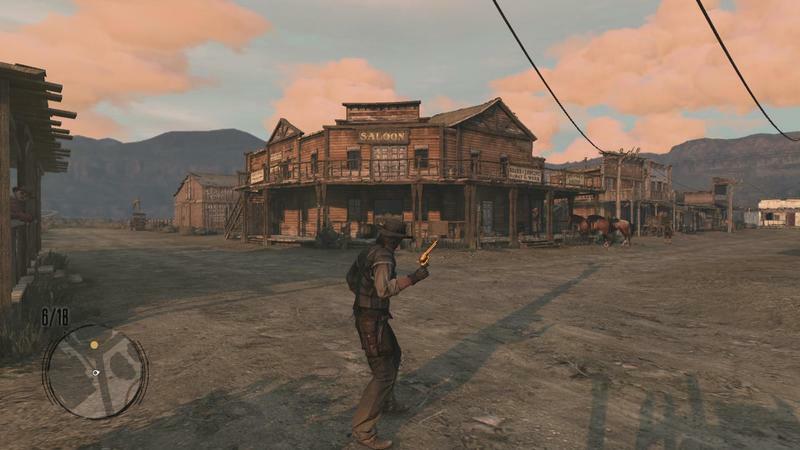 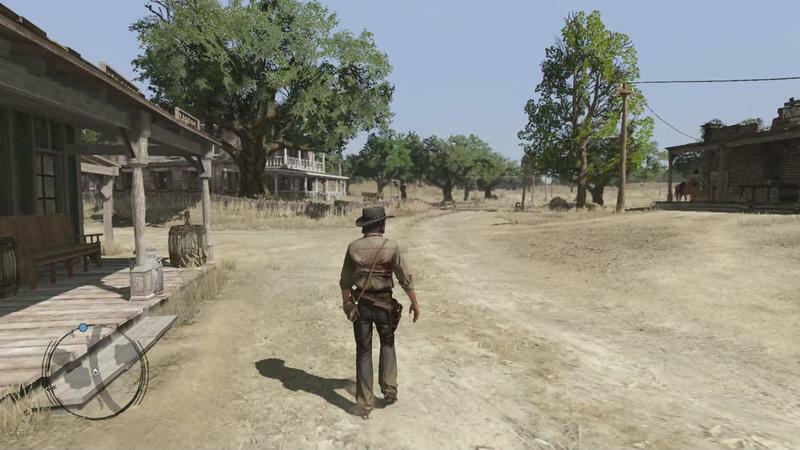 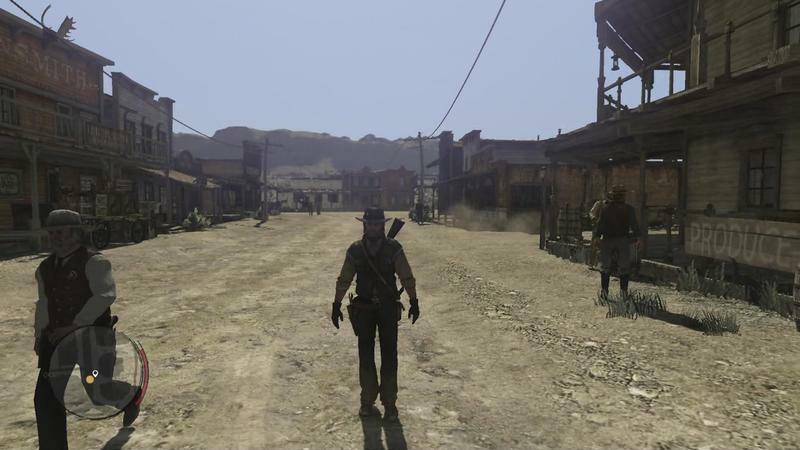 Most open world games feel more like amusement parks waiting for someone to come activate the rides, but Red Dead Redemption, despite being a video game, feels like one that breathes when you’re not there. 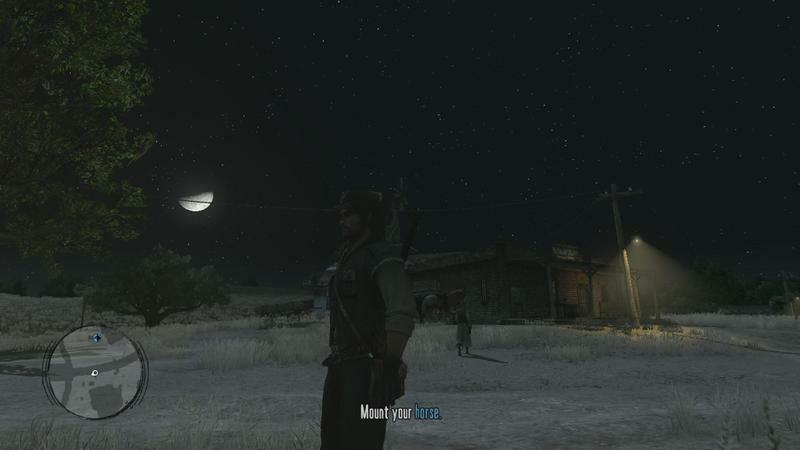 Alright, yeah, maybe I should go outside and see a real sunrise, but you know what? 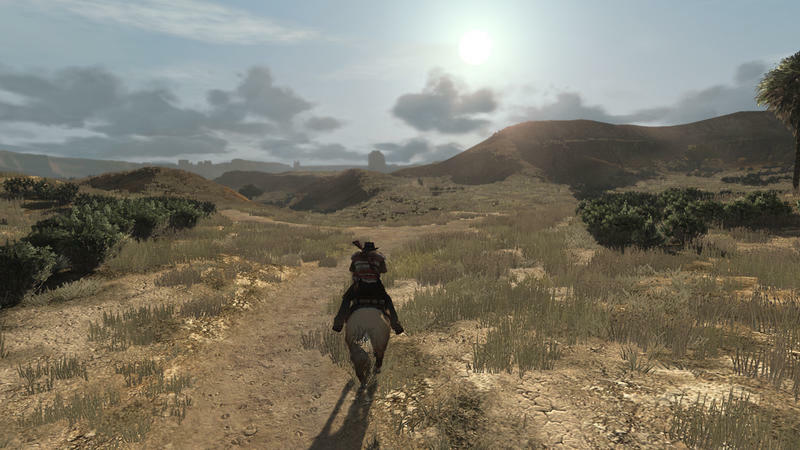 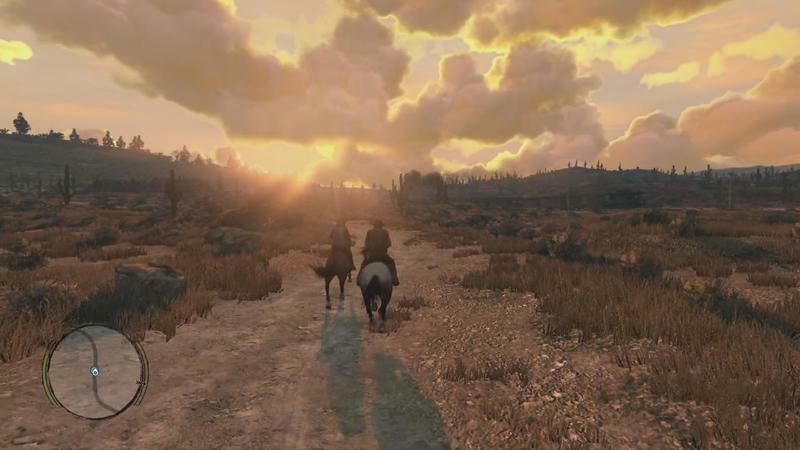 Every time the sun comes up in Red Dead Redemption, I stop for a second, even six years later.